In honor of THE BEST WEEK EVER (aka SHARK WEEK!!! 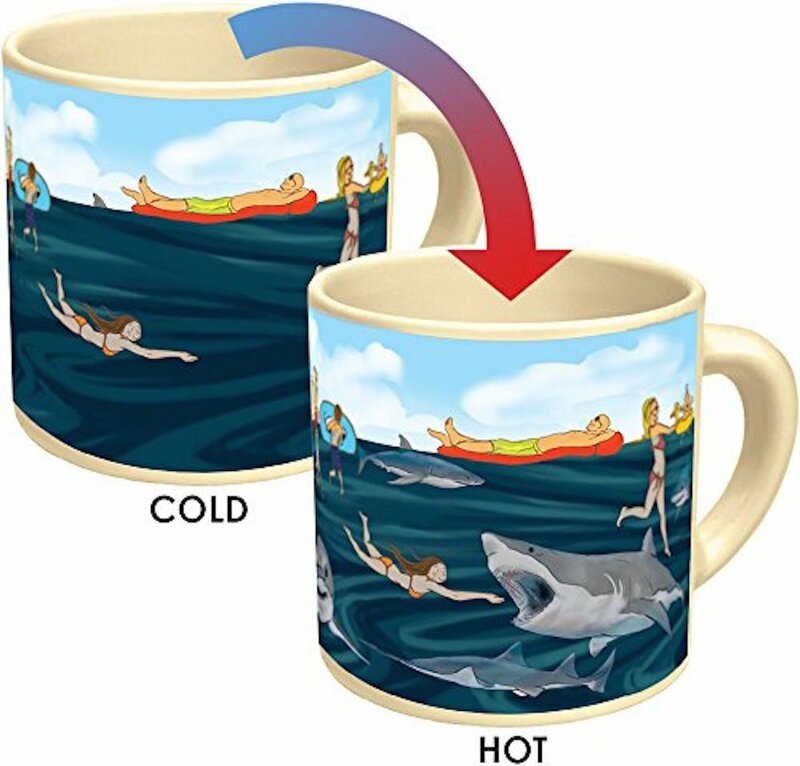 ), I wanted to share a whole bunch of shark-related products I have totally and unashamedly purchased. I need you all to know my love for sharks will never die. My spirit animal is a shark. They are wonderful. I went cage diving with sharks and the scariest part was breathing through a hose, not the sharks at all. In fact, I was mad I couldn't get out of the cage and touch them. GAH. I love them so much. And now, it's Shark Week, so the rest of the world can experience all the glory and goodness of sharks, and it just seems appropriate to treat ourselves to some fin-tastic goodies, yeah? My summer read shouldn't come to a shock to you... because SHARKS.